Concrete is the most-used manufactured material in the world, with nearly three tons per person used annually. Its benefits to society are immense, as it is used to build schools, hospitals, apartment blocks, infrastructure, and more. Currently, few materials in the world can rival concrete in terms of effectiveness, price, and performance. The world’s largest unreinforced concrete dome, the Pantheon in Rome, is still in excellent condition after nearly 1900 years in service—yet in this century, many modern concrete structures are deteriorating. The critical difference between ancient and modern structures is the use of steel reinforcement. With the added steel, various new problems can arise. The principal difficulty is often corrosion due to water penetration, which accounts for more than 80 percent of all damage to reinforced concrete structures, reduces the life of a structure, and increases maintenance costs. (See Jure Franciskovic’s “Protection and Repair of Reinforced Concrete Structures by Means of MCI-inhibitors and Corrosion Protective Materials,” published in Structural Engineering Conferences, 2006.) What can be done to prevent this? Crystalline waterproofing provides one solution. Three components are necessary for corrosion in reinforced concrete: steel, water, and oxygen. Eliminating any one of these will prevent the oncoming chemical reaction and damage. This is why there is no corrosion in dry concrete, and also why concrete fully submerged in water has limited corrosion, except in instances where the water can entrain air. 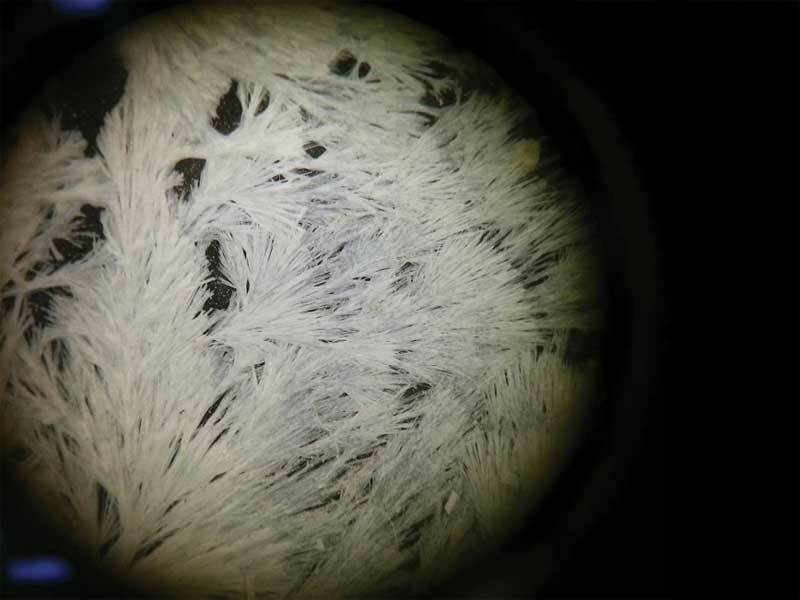 carbonation causes a general breakdown of the passive film. 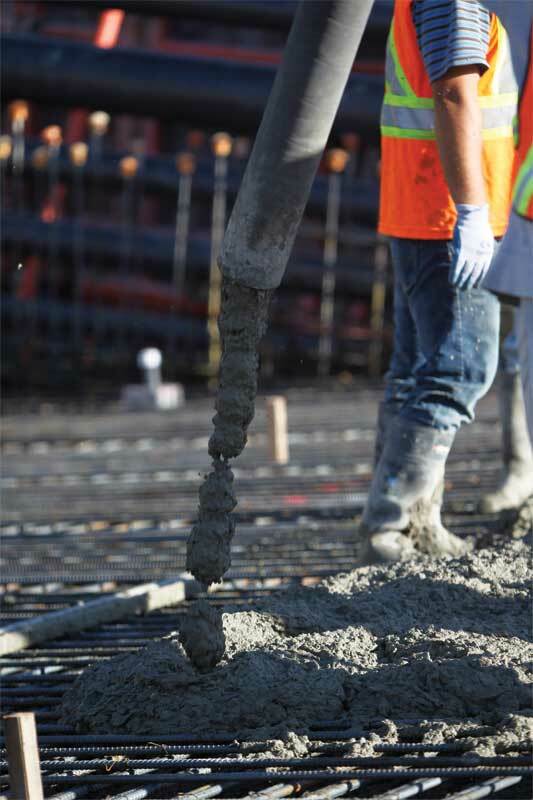 Overall, concrete is a great host for rebar—its high alkalinity means the steel reinforcing bars are passivated by an iron oxide film (i.e. 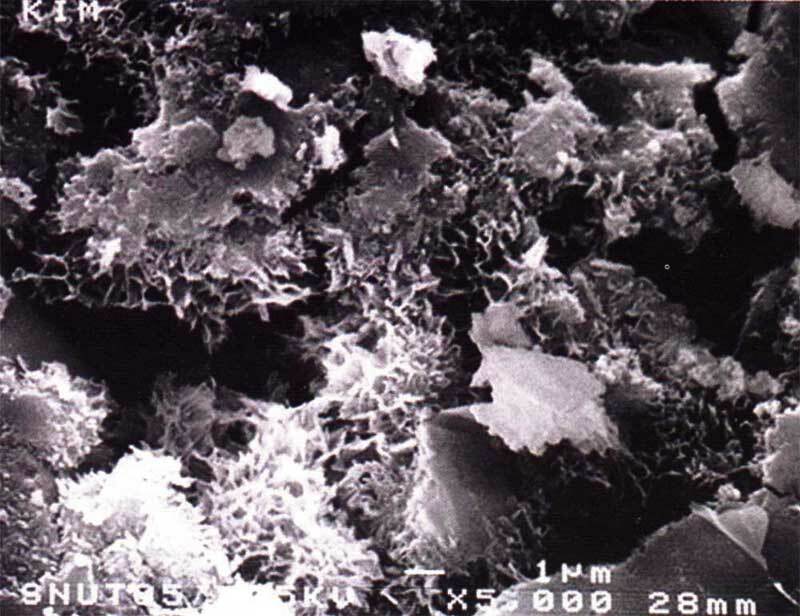 Fe2O3) providing a protective layer against corrosion. However, while hardening, concrete develops minute pores, which allow potential ingress of corrosive agents that damage this layer. Without the passive film protecting the steel, corrosion occurs at a much faster rate. 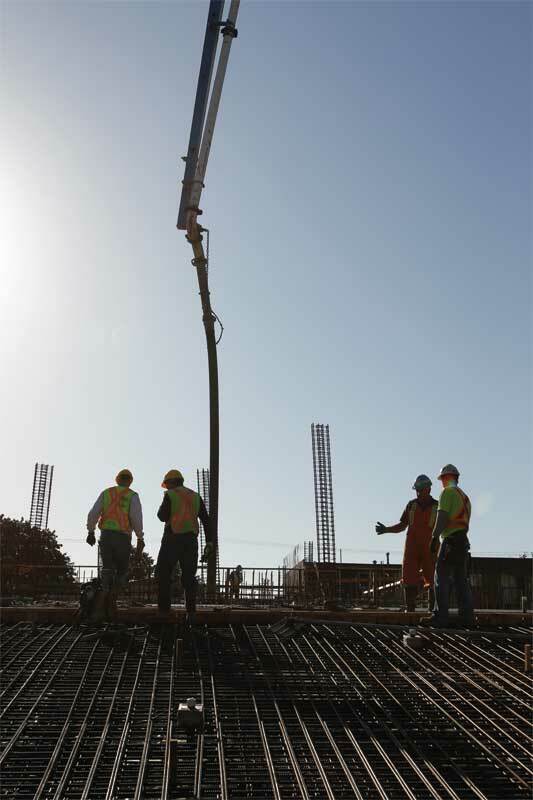 This image shows concrete pouring onsite. Corrosion begins to affect a concrete structure’s integrity when its products (i.e. rust) occupy a greater volume than the original steel. This expansion creates tensile stresses in the concrete causing it to stain, crack, and spall. 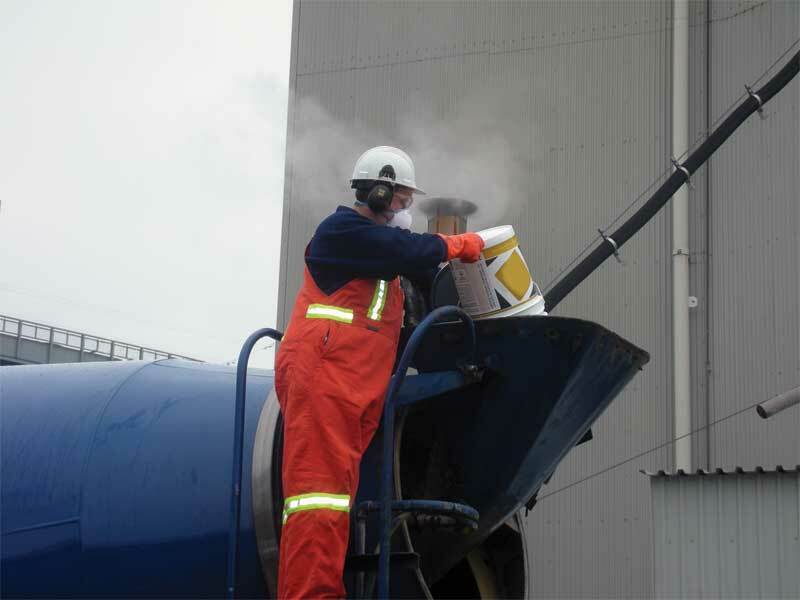 Cracks are a direct path for corrosive agents to reach the steel, and can develop to the point the functional service life is reached prematurely. By the time the signs of damage become visible externally, the corrosion has reached an advanced stage. At this point, regardless of site location, rehabilitation costs will be expensive, and the repair process complicated. Therefore, water must be kept from penetrating the reinforced concrete and diverted from attacking the steel rebar within.